Nausea is an uneasy sensation that you feel the need to vomit, however it does not always lead to vomiting. Nausea is not a condition in its own right as it is often a symptom of other conditions. Some common causes can include; viral infections which can be also known as a "stomach flu", eating or drinking too much, food poisoning, pregnancy and motion sickness or seasickness. Nausea is often nothing to worry about in adults and will often clear within a day or two. How ever if it is persistent bouts of nausea that you are experiencing you should seek the help of your GP. It can be quite difficult to diagnose nausea specifically, as usually it is a symptom of another condition. However frequently nausea can result to vomiting and if this persists for longer than 48 hours we would recommend you going to your GP. If your nausea is associated with motion sickness this can often be dealt with at your local pharmacy, where you are able to buy medication over the counter. Although in severe cases you can consult a GP to get prescribed motion sickness medication. Finally in more severe cases where the nausea leads to bouts sickness where blood is present in the vomit will indicate a condition that requires urgent attention, you should go to the hospital immediately. What Treatments are available for Nausea? There are many treatments used to treat nausea. Each treatment used will depend on the cause of your nausea. If you are experiencing persistent episodes of nausea, it may be that you have to see your GP and it will be down to their discretion on what they decide to prescribe or recommend. In cases where a migraine is causing the nausea, which is fairly common. A drug called Buccastem M may be used, This is a tablet which is placed in the cavity between the gum and top lip. 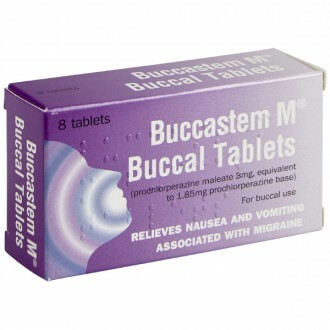 Buccastem M is made up of 3mg of Prochlorperazine and is made into something called a Buccal Tablet. When travel/motion sickness is the cause of your nausea medications such as Cyclizine or Phenergan can be used. Phenergan can be purchased over the counter at your local pharmacy however Cyclizine will be a medication you will have to go to your GP for and be prescribed. Self-hypnosis can be used to make behavior changes to help control nausea and vomiting. Progressive muscle relaxation teaches a person to relax by progressively tensing and relaxing different muscle groups. It’s been used to decrease the nausea and vomiting associated with chemotherapy. Acupuncture is a traditional Chinese technique where very thin needles are put into the skin. There are a number of different acupuncture techniques, including some that use pressure rather than needles (acupressure). Some studies have found it may help treat anticipatory nausea. Nausea is an unpleasant sensation in the upper stomach that accompanies the urge to vomit. Nausea can precede vomiting, although it is possible to feel nauseous with out throwing up. A prolonged feeling of nausea can be a debilitating symptom. When do I need to see my GP about Nausea? Knowing the cause of your nausea will help determine whether you need to visit your doctor. For example; if your nausea is the result of motion sickness, once the motion causing the sickness has ceased, the associated nausea will, in turn, subside. Another example would be nausea caused by overindulging in alcohol. The nausea itself is a related symptom to the excessive consumption, which means once the alcohol has left your system, the nauseous feelings should dissipate. Under these circumstances, a visit to the doctor will likely be unnecessary. How can I treat Nausea? There are a variety of different medicines available for the treatment of nausea. Choosing the right medication will depend on its underlying cause. For example, sufferers of motion sickness and vertigo will likely need antihistamines or anticholinergics. If the nausea is being triggered by a migraine or headaches, then a dopamine antagonist, such as Metoclopramide would be a more suitable choice. Cases of nausea where gastroenteritis is the cause would be more effectively treated with serotonin antagonists, such as Ondansetron. Whereas, Pyridoxine and Doxylamine is usually the first line of treatment when treating pregnancy-related cases of morning sickness. What medicines are used to treat Nausea? 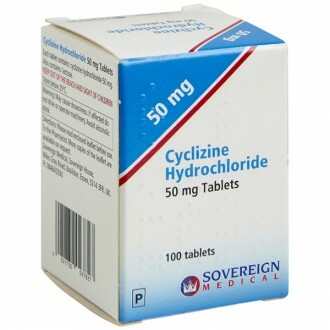 Cyclizine – belongs to a group of medicines called antihistamines. 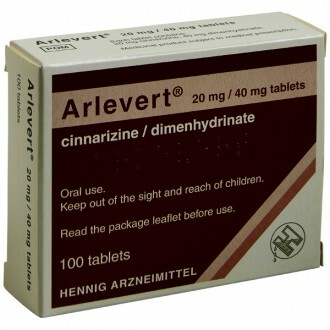 Cyclizine is believed to block the histamine 1 receptor in the part of the brain that creates the sensation of nausea. Promethazine – also an antihistamine. This drug works in the same way as Cyclizine. Hyoscine – this medicine works by blocking the chemical acetylcholine. It is particularly effective at treating nausea caused by motion sickness and inner ear problems. Metoclopramide – this medicine acts in the gut. Metoclopramide works to speed up the transit of food through the gut. This treatment for nausea is often used when the symptoms are caused by gut problems or a migraine. Domperidone – like Metoclopramide, Domperidone also works to speed up food transit through the gut. Prochlorperazine – this medicine works by blocking a chemical in the brain called dopamine. Prochlorperazine is useful for treating nausea caused by cancers, radiation and opiate medicines, such as morphine and codeine. Prochlorperazine has also proven effective at relieving nausea caused by vertigo and inner ear problems. Can I use Nausea treatments if I am pregnant? If you suffer from morning sickness during pregnancy, your doctor or midwife will likely suggest changes to your diet and daily life before prescribing medication. However, if these changes have little effect, or if the morning sickness is particularly severe, then your doctor or midwife may suggest a short-term course of medication. Nausea isn’t always possible to prevent. Trying to manage the underlying cause will be the most effective method for preventing the associated nausea. For example, if your nausea is being caused by your medication, then speaking to your doctor about an alternative should be your first course of action.